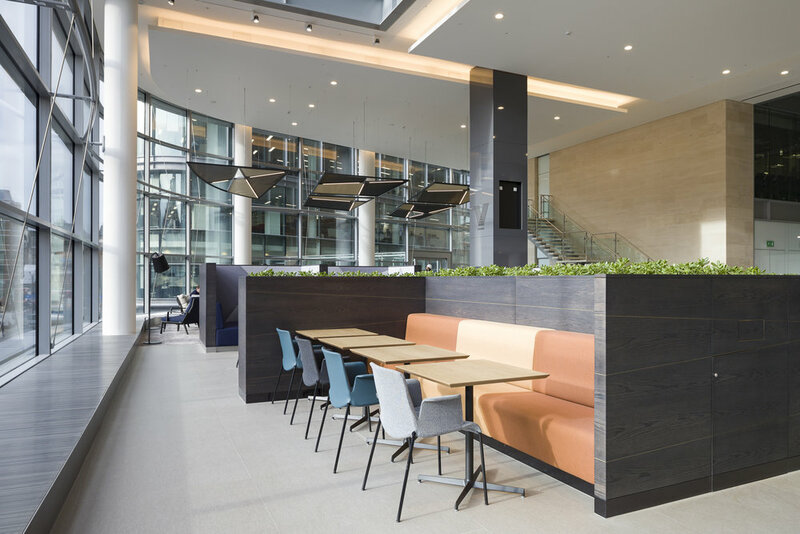 The fit out of the new London HQ for the UK's largest commercial property company provided us with the opportunity to supply a number of varied and challenging specialist joinery items. The most complex challenge was presented by the multi-layered 3D timber walls to the two reception areas. 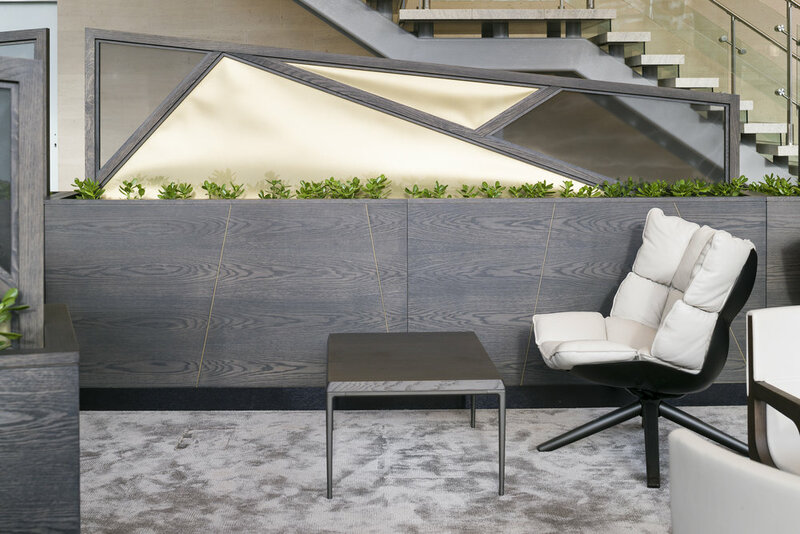 These were constructed using timber veneers and metal, and incorporated a seating area whilst being fixed through a concrete wall. 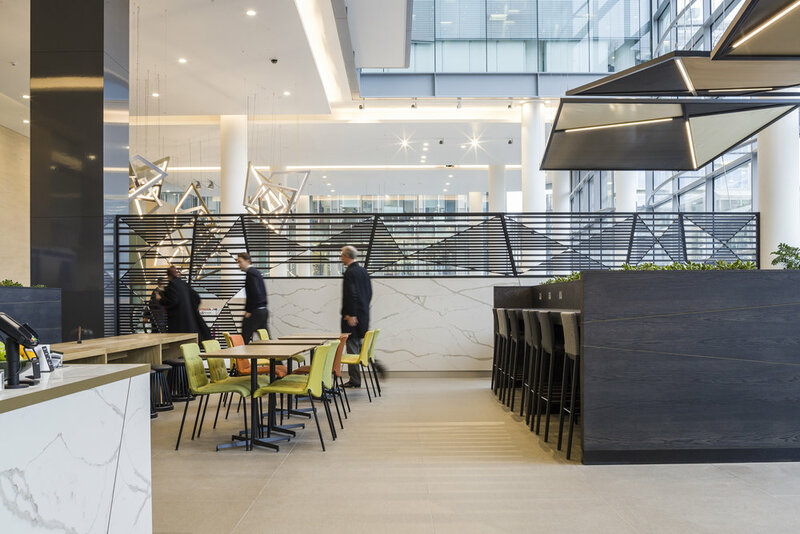 The ceiling screens to the café and open seating areas were suspended to a slab a full 4m above their resting position, these incorporated timber, metalwork and a fine artistic mesh imported from Switzerland. Columns rising some 13m from the main reception area were clad in a high gloss laminate and were designed to rise true and straight, with the joints seamless to present a clear finish. The multi-faceted and angular reception desk featured Italian marble and Land Securities signage.